We have now been in the town of Varanasi, in the state of Uttar Pradesh. Varanasi is a holy city for Hindus, situated on the banks of the Ganges River, which is the most holy river for Hindus. I will share more about the Ganges and a couple of boat trips we took on it in a separate post. We are staying in a guest house just a couple of blocks from the river. It has been really hot here. The past couple of days the high temperature has been about 109 degrees farenheit. By 1pm today I had already put down about 2.5 liters of fluids and still wasn’t feeling that terribly hydrated. It’s a really dry heat, though, so it actually doesn’t feel that bad. The kids in our neighborhood are really friendly. This might be because they have learned they can get money from foreigners. When we are walking down the streets, it is common to be greeted with a cheery, “Hallo!” We turn and see a bright pair of eyes and a small, smiling face. Previously, my only experience on this side of the world was in Nepal, mostly Kathmandu. I indicated in a previous post that things here had not been quite as much like Kathmandu as I had expected. Vanarasi reminds me a lot of Nepal, though. 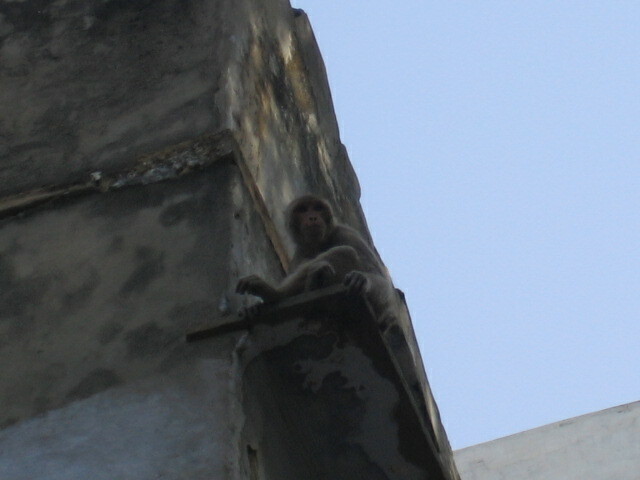 The narrow, crowded streets, the Hindu shrines and temples, and the smells all take me back to that trip ten years ago. I liked Nepal a lot and have always hoped to be able to visit again, so this trip has been neat for me. On the subject of Nepal, maybe you saw in the news that in the past couple of weeks that had elections that got rid of the world’s last/only Hindu monarch, replacing it with a duly elected Communist government. It will be interesting to see what happens there. I see this is now creating a real dilemma for the United States, who has the Maoists on its official list of terrorists. Oops, than can make the foreign relations a little tough. In addition to continuing to meet with ministry leaders, today we visited three different Hindu temples. People come to them and pay homage to a number of Hindu gods and goddesses by bowing down, saying prayers, ringing bells, singing, and offering flowers and incense. In visiting them, I am struck with how similar the Hindu worship of many deities and the images representing them is to what we see in southern Mexico. In southern Mexico, people depend on Catholic saints and virgins in much the same way Hindus look to their gods for blessing and provision. Uttar Pradesh and Uttaranchal have a combined land area about 3/4 the size of the state of Colorado. In that space, more than 167 million people were living in 2001. That, I believe, is more than half the population of the entire United States. Figures from a few years ago say there may have been less than 35,000 committed believers in the entire state, or around 1 out of every 4,750 people. As of 1995, there were less than 500 workers committed to reaching the unreached of Uttar Pradesh, or around 1 worker for every 335,000 people. One researcher told us Uttar Pradesh has 40 unengaged unreached people groups of over 100,000 people. These are distinct ethnic groups, each with its own language and customs, that have no concentrated gospel work going on among them. The good news is that the number of believers here is increasing, and the real total is most likely higher than official figures. The number of workers here is also significantly increasing. Much remains to be done, though, because the people of northern India cannot believe in the One they have never heard of. Tomorrow (Friday), we plan to head on to Lucknow, which is the capital of Uttar Pradesh. 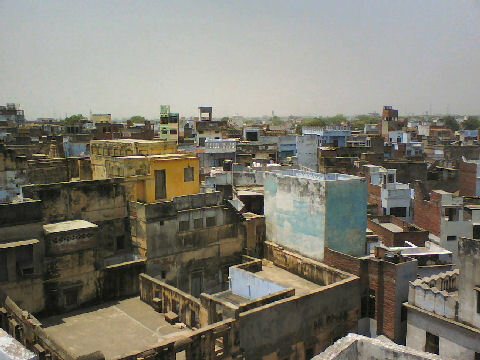 View of Varanasi from a rooftop. 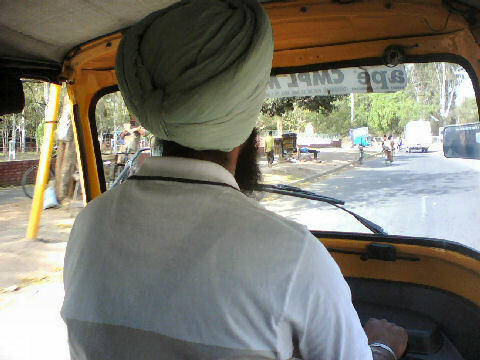 This entry was posted in India, Photos on April 25, 2008 by Chris.